Around 1919, the Kansas State Historical Society and the American Legion solicited biographical information from returning veterans (primarily members of the 35th and 89th infantry divisions) and the families of those who died in service, notably from the Gold Star Mothers. Each veteran or family member was asked to provide letters, photographs, a biography, and military records. 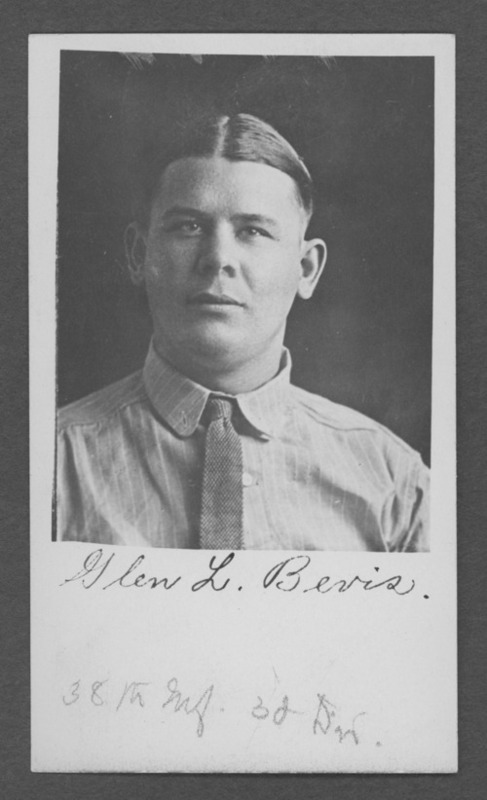 This file contains information on Glen Lynn Bevis, 38th Infantry, 32nd Division. Glen was killed in action on October 8, 1918 in the Battle of the Argonne Forest.